Another of this little blouse from Simply Sewn made up in a very fine cotton lawn, I love the vintage feel of the flowers. The skirt is from Burdastyle February 2015 Edition. I have changed the patch pockets to side seam pockets for a cleaner finish. 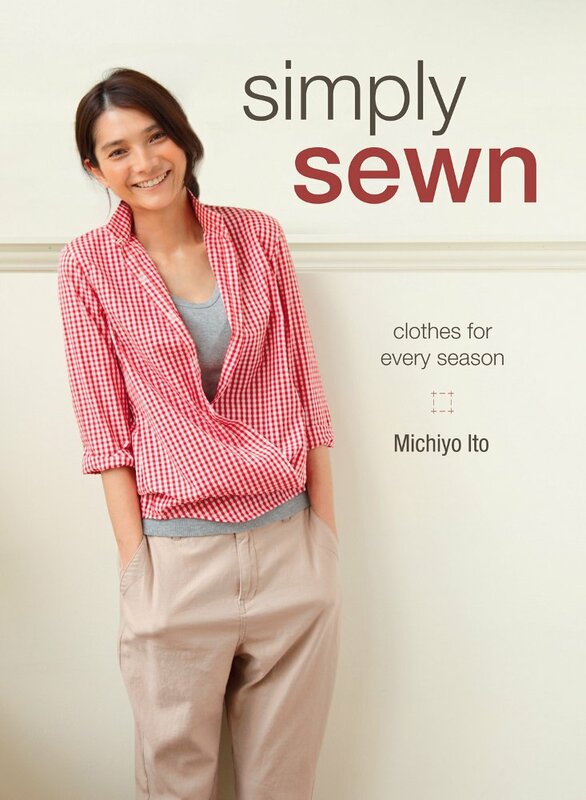 Loving this little Japanese sewing book with over 30 simple patterns. 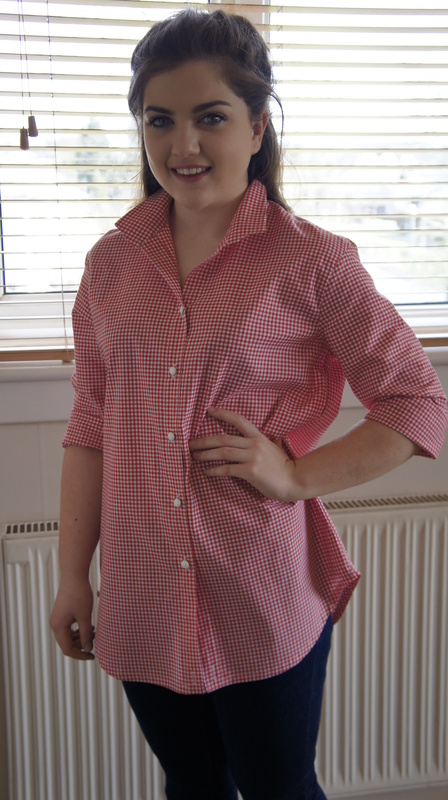 Here is my version of the cover blouse made for my daughter, it can be worn as a wrap as on the book cover or as an over-shirt as preferred by Katy – I have made another 3! All set for the Summer! Our five week courses have finished and I thought I would share with you some of the makes from the Students. I am sure you will agree that some great work! New Sewists are such an inspirational and enthusiastic bunch. There is something about not having the confines of the usual convention in learning that make for true creativity – don’t you think? The “that’s the wrong way” and “this is the right way” approach can stifle many. I set out from the beginning to make classes fun and informative. 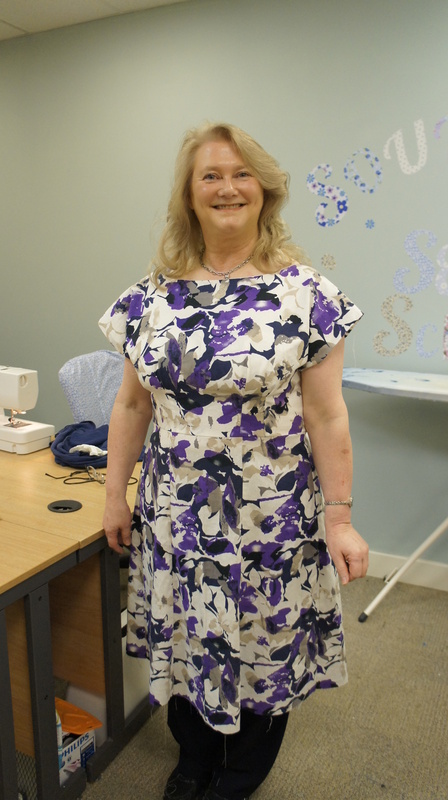 I noticed that people like to learn quickly and so I made it a policy that all courses would be for the minimum term possible – whilst still covering the fundamentals of sewing/dressmaking. I was also conscious that if courses last for too long then the longer the course (more number of weeks) the more likelihood that at some point at least one class in the course would be missed by the student. This would be detrimental to learning as each class deals with progressing with a project through from beginning to end, with each class covering the necessary processes involved. Classes have been running for a number of weeks now and I have to say I am astounded at how easily and quickly students have picked up these skills. I do think the main reason for this is that our class sizes are restricted to a maximum of 6 per class. This was a conscious decision as I had queries from people saying that they had attended courses in the past at other establishments but had felt they had not taken anything on board and were a little bit disheartened – although still keen to learn. On probing further I found that this was invariably due to the large class sizes in the course they attended. They felt swept along, in addition the duration of the class was usually very short around a couple of hours, one lady said she had hardly settled herself when she felt it was time to pack up! I took another call from a lady asking me how to attach a bodice to the skirt of a dress she had been working on for “a number of weeks!”. Although happy to help I asked if she had contacted her tutor, she responded that she felt she couldn’t – as she (the teacher) wouldn’t know who she was and in any event the college was closed for the Summer! 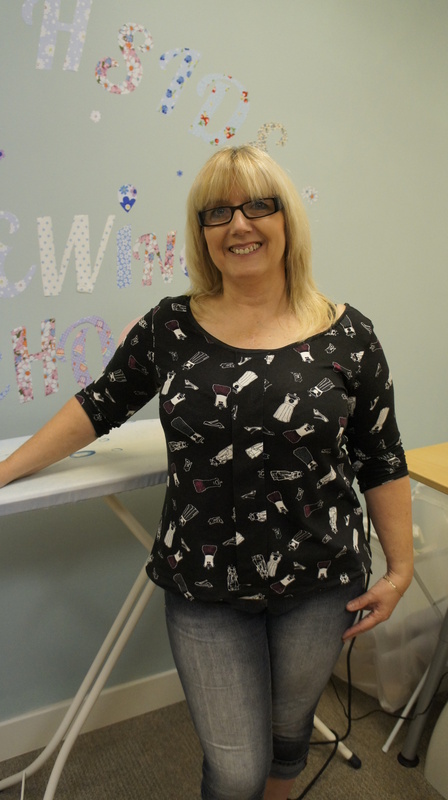 Such a shame that the sewing experience for new Sewists is leaving them disheartened before they start!. I would be interested to know how you guys learnt/were taught to sew. Was the environment nurturing and was there any support offered once the course/class was finished? 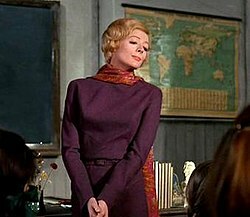 Perhaps you were taught by a family member, mum, aunt, big sister. All is not what it seems with this top. I used this fabric as a toile – wearable muslin – as I had a piece of silk I was more interested in using for this pattern and I wanted to perfect it. 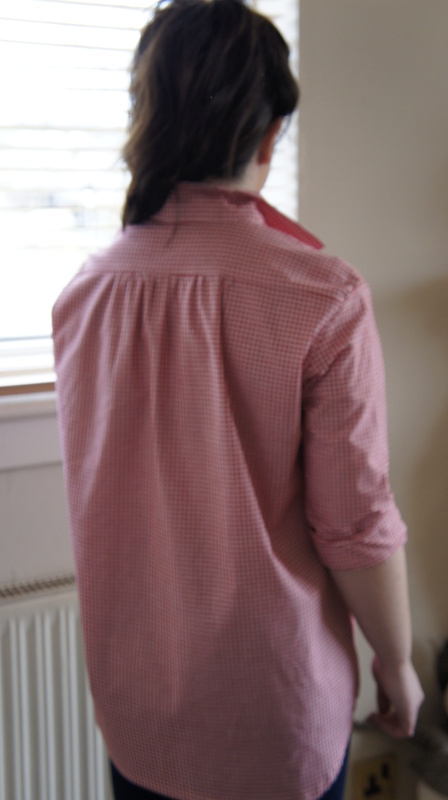 It is just as well, as the armholes (the initial pattern is with sleeves) are very gappy and only with some surreptitious darting did it become wearable. 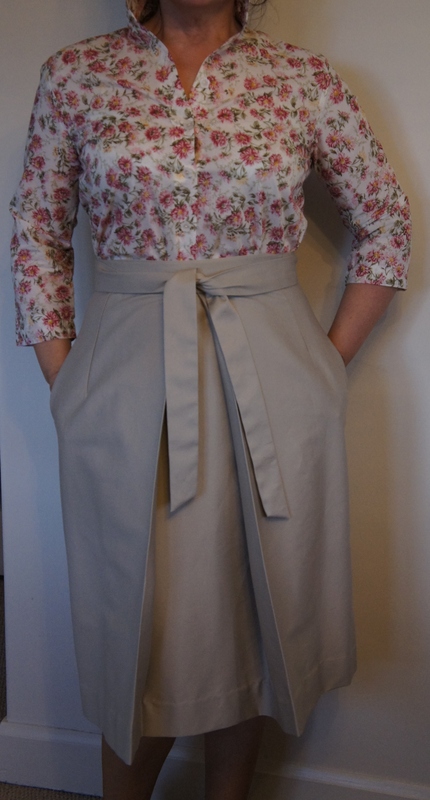 That said I quite like it, the waterfall frill in the front with the rouleaux bow, is a nice touch, I turned the neckline into a V. I decided that I would use up the remaining fabric and turn it into a simple gathered skirt. 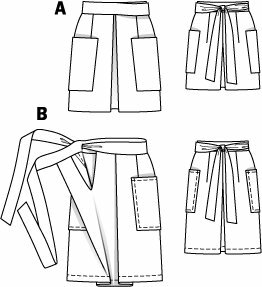 I made the skirt without a pattern and drafted some side seam pockets, and then realised I did not have enough fabric so two of the pieces of the pockets are just white lawn, which is not great but ok. I also added the concealed zip to the pocket at the side instead of the usual centre back, as I think in some skirts its better at the side. 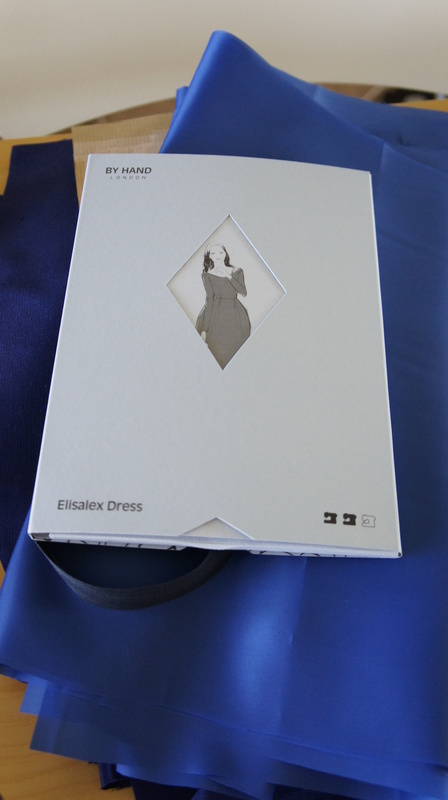 The fabric is a very lightweight viscose which doesn’t add much bulk to the waistline as this is the main issue with gathered skirts they can be very bulky in the one area you want to minimise bulk. I left the hem as it was finished on the selvage edge which has a bit of a fringe going on. I see this twosome as the type of thing you could wear to the beach over your swimsuit. 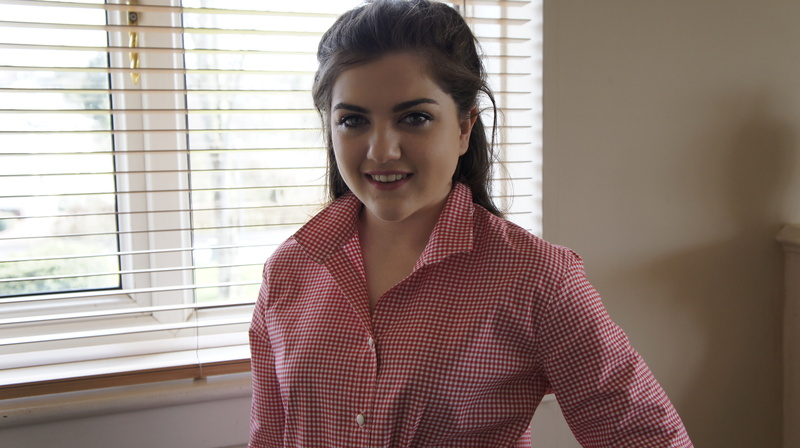 The top is loose enough to put on over your head – no fastenings and the skirt is just a pull on and off affair and given the fabric is so lightweight if it gets damp or wet it will dry in no time. Yet still decent enough to wear to the pub on the way home! I have to say it looks way better with a little white cardigan over as it dumbs down the rather busy print. 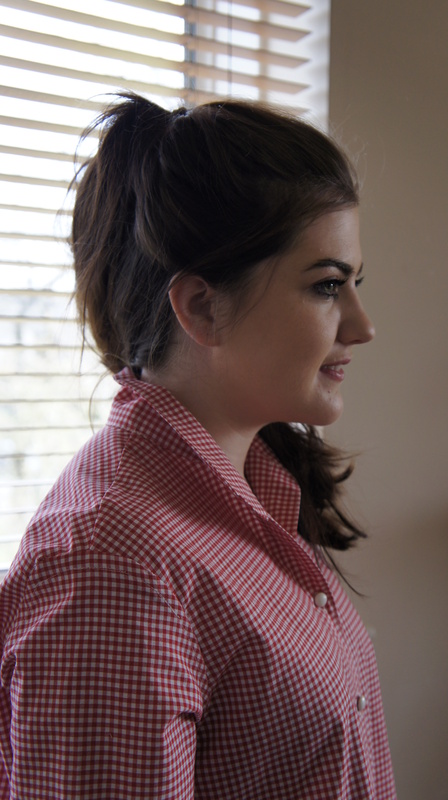 Shirtdresses are a part of most women’s wardrobe not least because they can be worn either very casual or more dressy depending on fabric, heavier for winter and lightweight for summer, sleeveless, short-sleeved or long. I have no idea where this pattern came from – for the life of me I cannot remember and I think it may have remained in the back of my pattern stash and my memory only for seeing a neat little dress in a magazine which made me pull this one to the fore and give it a re think. The dress in question was a graphic, I assume – cotton, in blue and white with a white collar, sleeveless and it just screamed summer to me. Check out that woe-full pattern match on the bodice tusk, tusk! 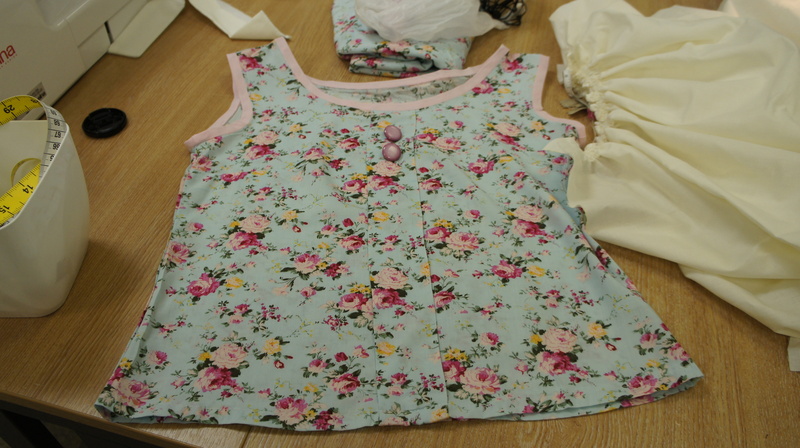 I also had a lovely cotton lawn in my stash which I was dying to use but couldn’t find the right pattern for. It’s liberty-esque both in design and colourway and the design of the fabric although not large could nonetheless overwhelm so the right pattern was crucial. 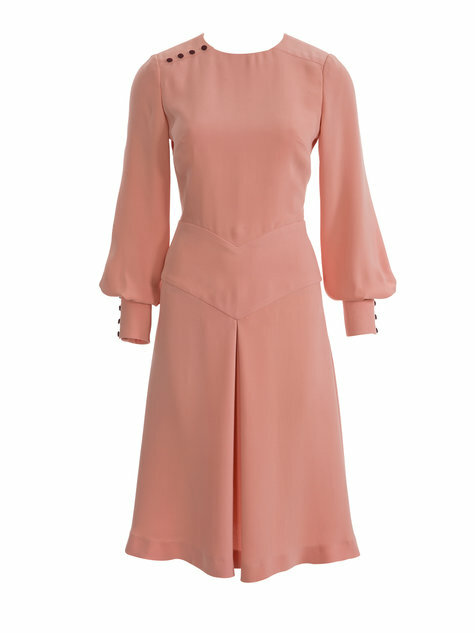 The plain collar added a nice contrast and also making it sleeveless would stop it from heading into frump territory. When it came to the buttons I decided I would double up and make them small – like a shirt and I had these buttons in my button box. They are vintage and one card was in a pale aqua blue and another in a darker blue. I didn’t have enough in any one colour for them all so I alternated them, as between them they picked out both the colours in the main fabric – All at once justifying the wholesale purchase of vintage buttons whenever I can find them! 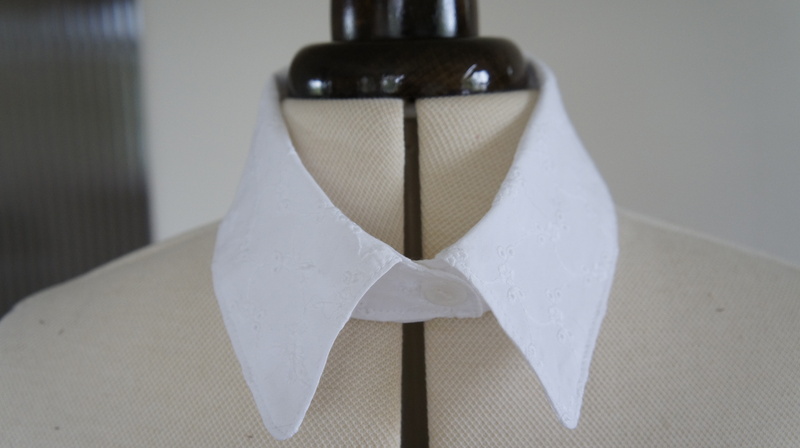 The collar I had previously made in a cotton broderie anglaise but on application I felt it was too heavy for the cotton lawn of the main fabric, so I replaced it with a plain off white cotton which I lightly interfaced. I have kept the broderie anglaise collar as I can attach to a couple of round necked jumpers that I have – so all was not lost. I think if I was to do this again I would make the collar slightly smaller other than that I am very happy with this. 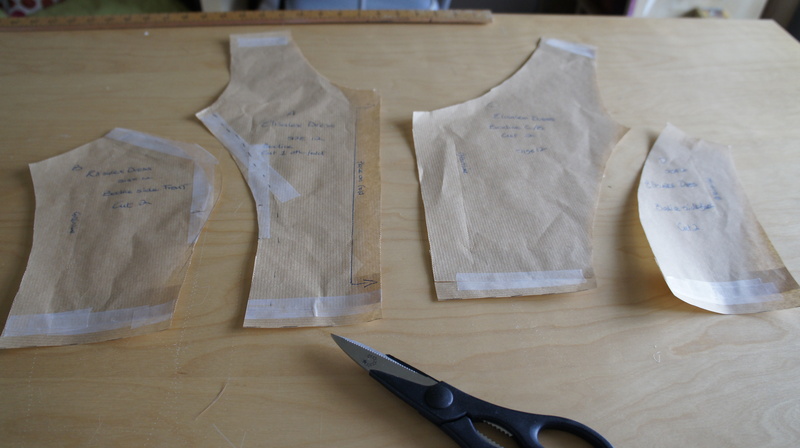 I didn’t use any of the recommended sleeve options instead I made some bias binding and bound the armholes. 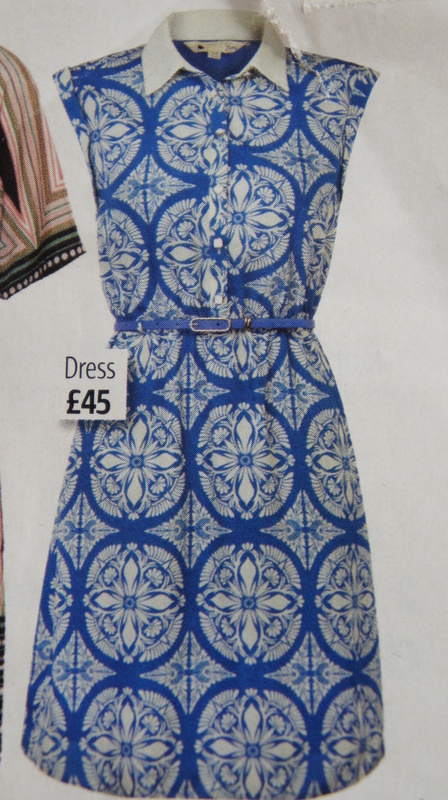 I can see this little dress being a useful addition to my wardrobe, it’s very comfy with a relaxed fit. If ever I needed reminded of how great it is to handcraft your own garments, this reminds me. I know I am speaking to the converted but when I think that I paid half the price for the fabric – which is a lovely cotton lawn, and for a few hours of my time (which I enjoy) I know I now have a much superior garment than the shop bought one. In addition the hemline is where I want it, and I know no one else will have another like it. It also fits me in a way the shop bought one never could, freeing me from the tyranny that is vanity sizing and the dreaded changing room! Not to mention the ethical and moral question of cheap labour and the cost, not just in monetary terms, of making and shipping these garments in their 1000’s from the other side of the world. It’s really no surprise that the sewing revolution is with us. It’s a no brainer! …. 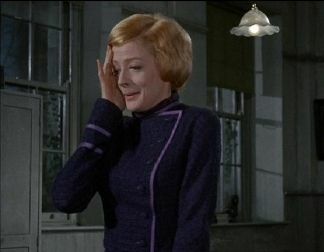 Inspiration struck as I settled down to watch the wonderful Maggie Smith in the film adaptation of the equally wonderful Muriel Spark’s The Prime of Miss Jean Brodie. I really recommend this film, not least of all for the fabulously affected Edinburgh accent! The clothes however were the revelation, the colours, the shapes. I set about recreating something similar and I found the perfect little dress pattern in a previous months Burdastyle magazine and I moved all else aside to make a start on it. I spent some time tracing the pattern from the crazy Burdastyle pattern sheet. The next step was to find the perfect fabric in a colour reminiscent of the film and the period it was set in. 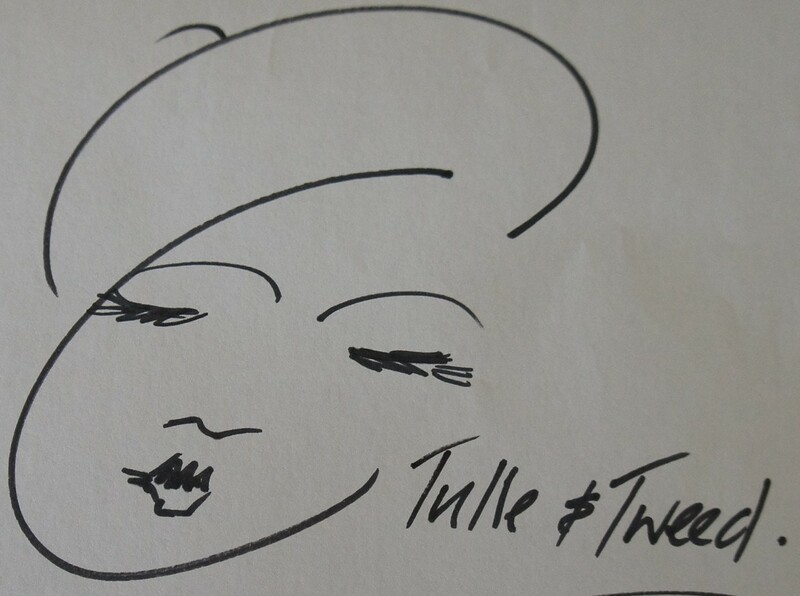 Inspiration ….. the wonderful Maggie. As luck would have it I had been given some vouchers for a local fabric store from colleagues of a firm I used to work in and wanted to make something that would remind me of my time there. I found it in this deep burgundy crepe, with a wonderful hand, quite heavy with a beautiful drape, perfect for my Brodie keepsake dress. I love this pattern, its very elegant and I could see it in a black crepe with silk sheer chiffon sleeves. It moves beautifully due to not only the crepe fabric but the design of the skirt with the deep centre front pleat and slight flare. 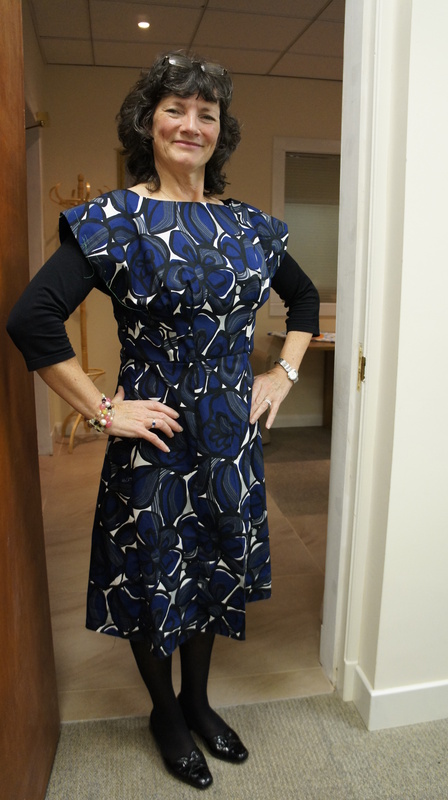 The shape on the body, because of the separate waist yoke, gives a nice fit through the torso and of course the sleeves (which I had to shorten slightly) are an absolute favourite. If you can dig this pattern out it’s well worth the effort. I would recommend a muslin/toile though as the v-yoke detail really needs to be perfect so some practice in insertion would be advised. Maggie now as you may know her in Downton Abbey. Hello all, I know it has been some considerable time since my last post and although I have been busy with a number of projects – bit of a career change! 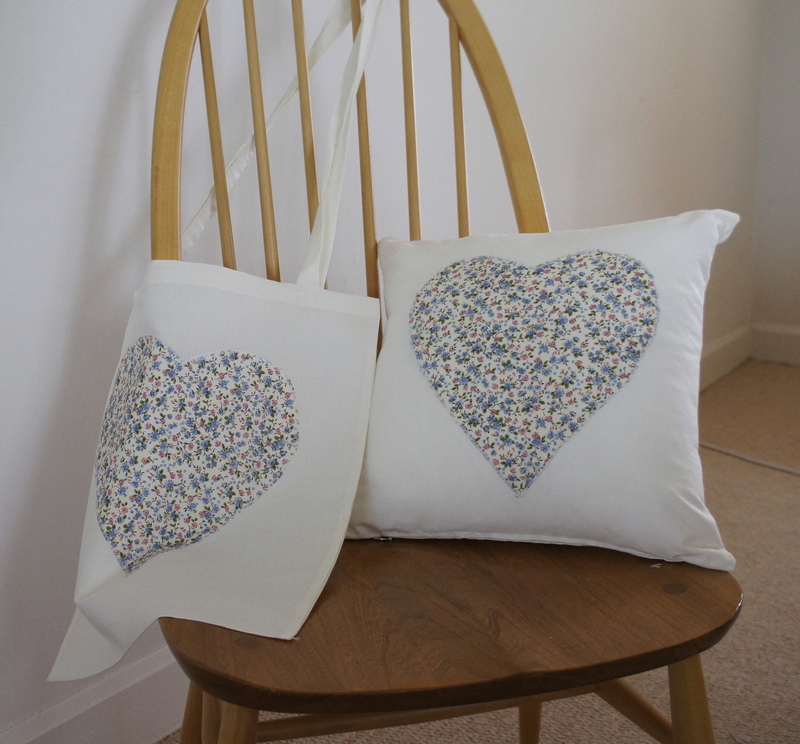 I have still managed to do some sewing, though not quite to the same extent as previously. I am finally back to a routine which will allow me to sew and upkeep my blog more regularly It’s nice to be back. Yesterday I was off to a wedding of a niece of mine and as late as last week I still had not a notion as to what I was going to wear. Then as always when panic strikes I headed to my pattern stash for inspiration and remembered this little beauty. I then remembered that I had some shot silk that I bought a few years ago when in Paris that I had been dying to use but couldn’t justify cutting up for less than something exceptional and – this pattern is it. 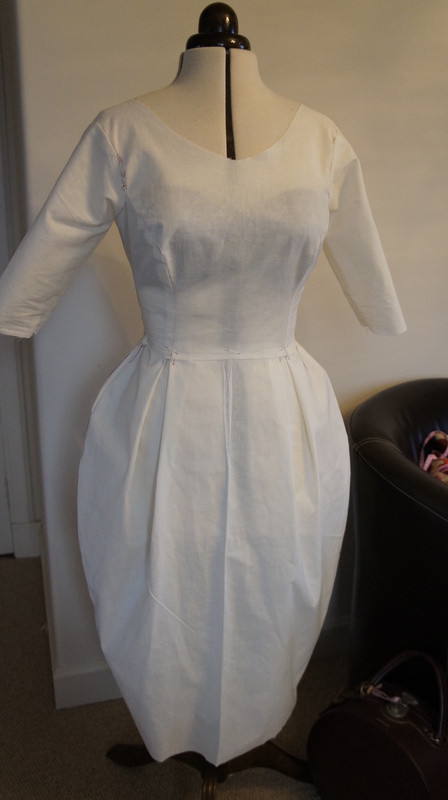 I did the usual toile/muslin and there were only a couple of alterations needed. First up the shoulder line was a bit too loose and I just narrowed it an inch on each side and re-jigged the darts a bit. I think on hindsight I would make the bodice a size smaller as this one was a bit roomier than I normally go for. That said the dress is so comfortable. I think this was due also to the lovely viscose lining I incorporated which stayed cool during the festivities. 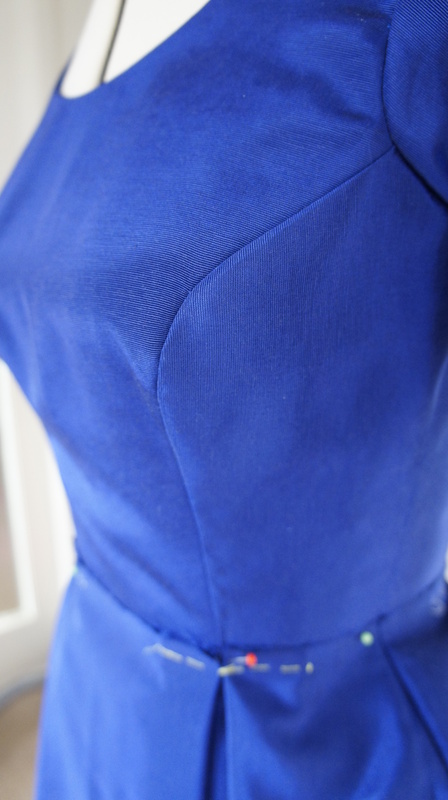 The shot silk was a good choice for this pattern as the fabric has a crisp hand which allowed for the pleating to be more sculptured without the need for any interfacing. Also as there is not much in the way of embellishment the shimmery nature of the shot silk lifted it out of the ordinary. I was very pleased with the way this turned out and it fitted the bill perfectly. Had I had more time I would like to have made a little pill- box hat with a veil to finish things off as is in the end I made do with a large corsage. A word of caution the hemline is rather narrow and there are no vents, so on occasion there is a bit of hobbling required and getting on the bus at the end of the evening was worthy of a You Tube post.